Dhaka – The death toll in Bangladesh factory fire rose to 38 with the rescuers retriving remians of two more workers from the rubbles on Monday, 16 days after a devastating fire ravaged a packaging plant near Dhaka. Firefighters pulled out the remains of the two victims as they were removing rubble in the morning, said deputy assistant director of Gazipur Fire Service and Civil Defence Akhtaruzzaman. 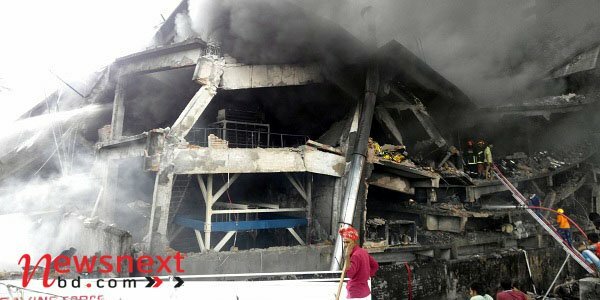 An explosion-triggered fire at Tampaco Foils caused collpse of the factory building on September 10. The onwer of the factory Syed Mokbul Hossain remained absconding after two cases of culpuble homicide were lodged against him and seven others.